Magazine Cartoons: What’s Wrong With This Picture? 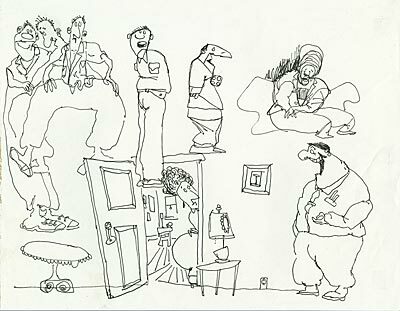 My mother passed away a few years back, and I’ve been going through some boxes of things she left behind. 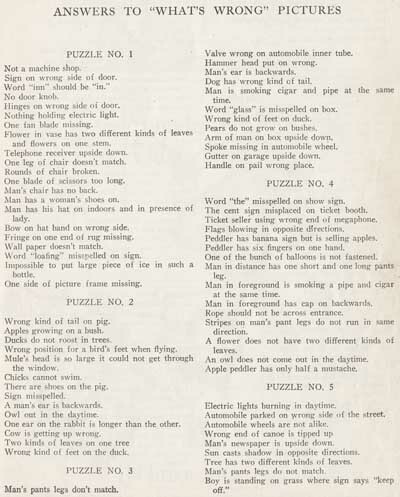 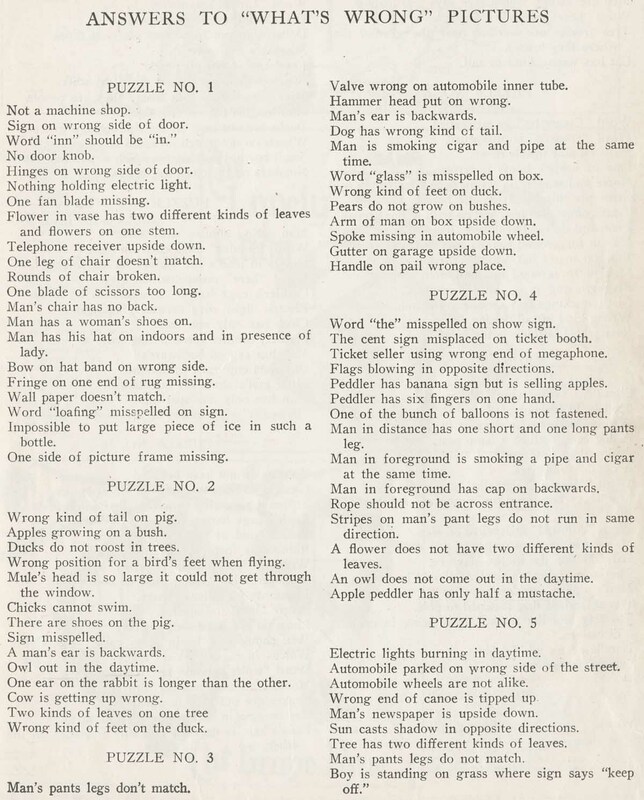 I found a book of crafts, games and puzzles from 1927 that must have been given to her when she was very young. 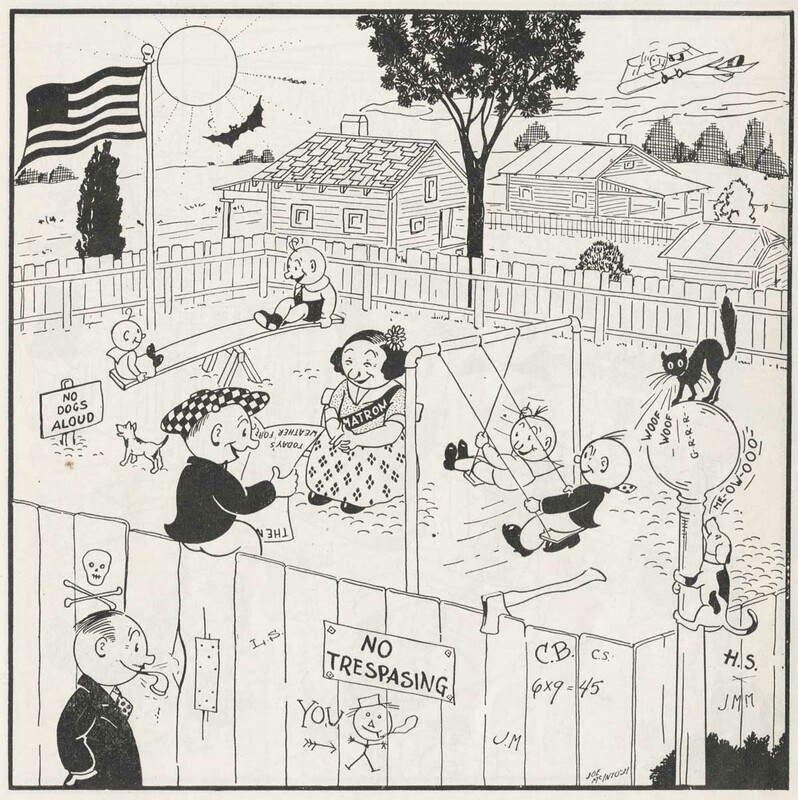 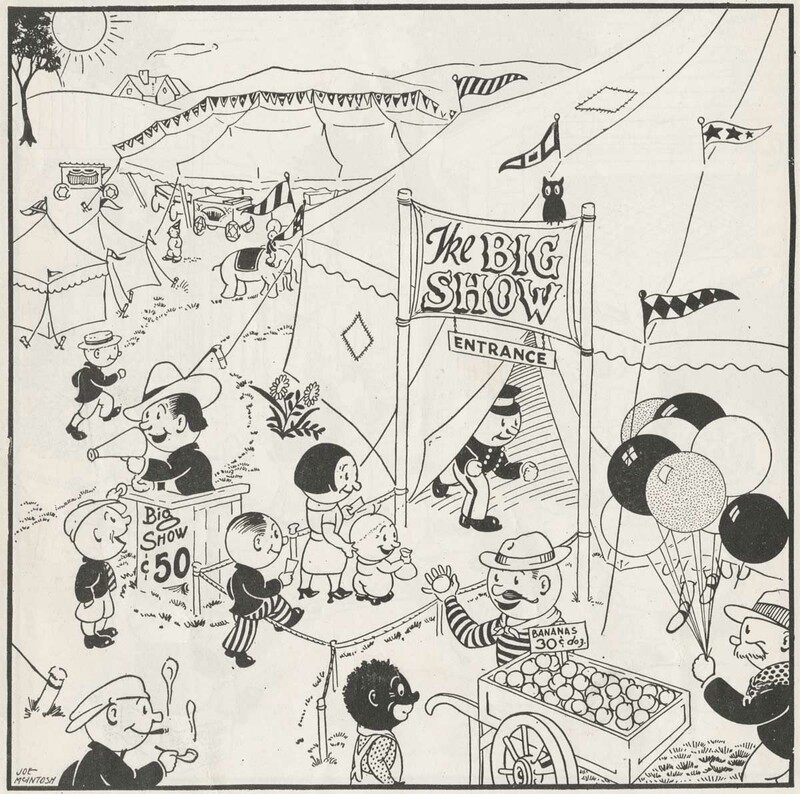 It included these “What’s Wrong With This Picture?” cartoons by Joe McIntosh. 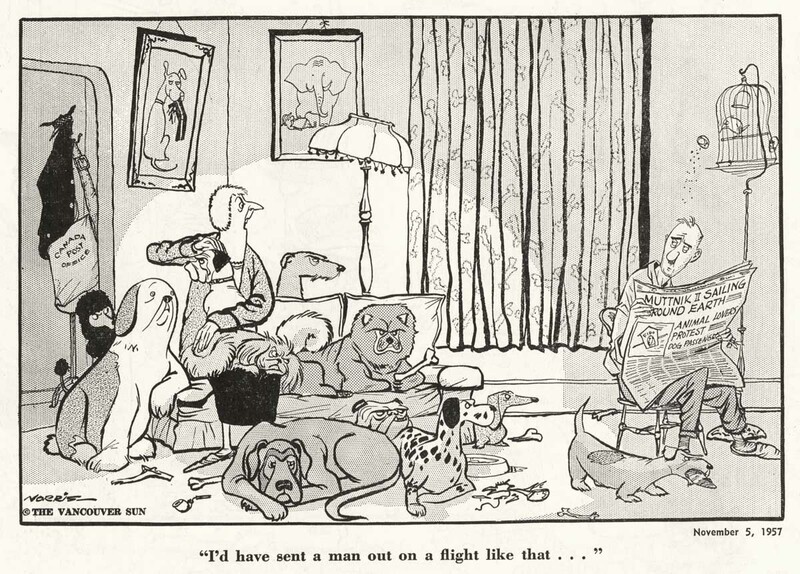 They appear to be created as one panel magazine cartoons. 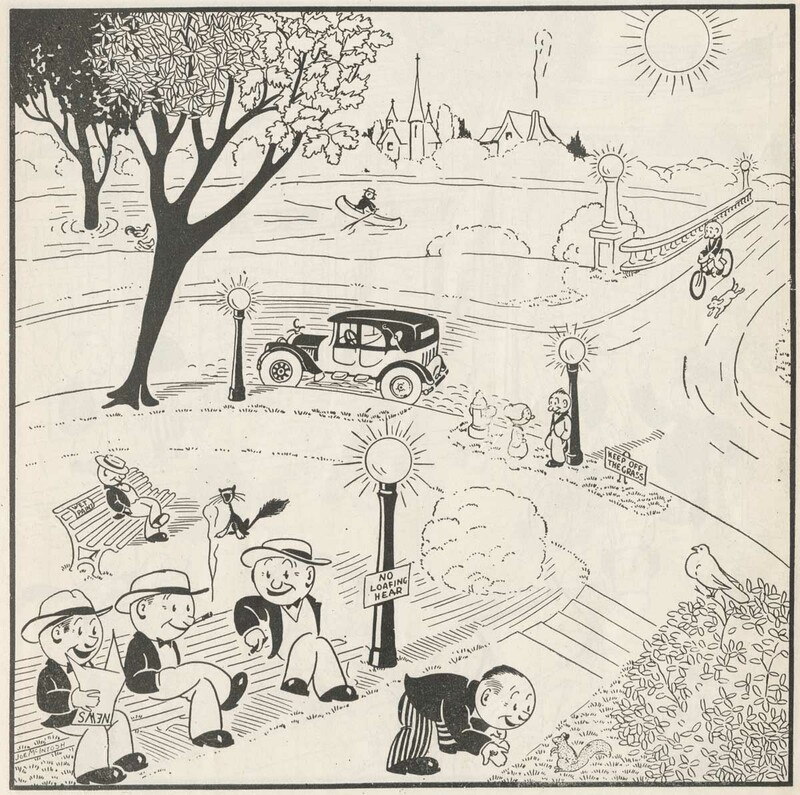 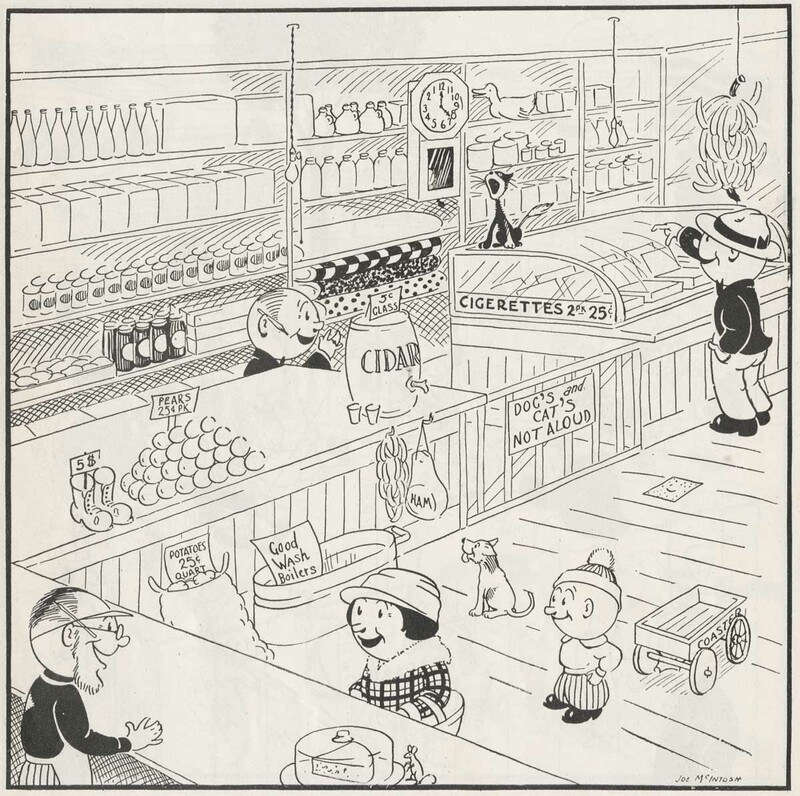 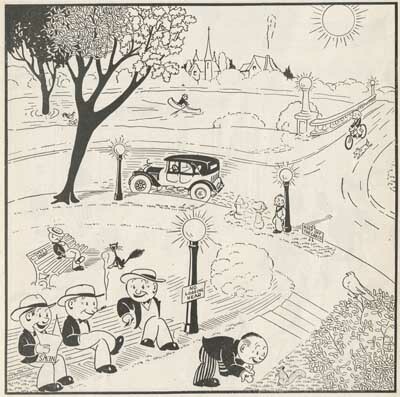 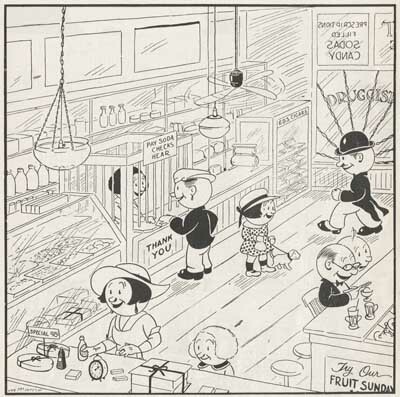 I don’t know anything about the artist, but this style of cartooning was very popular in the 20s. 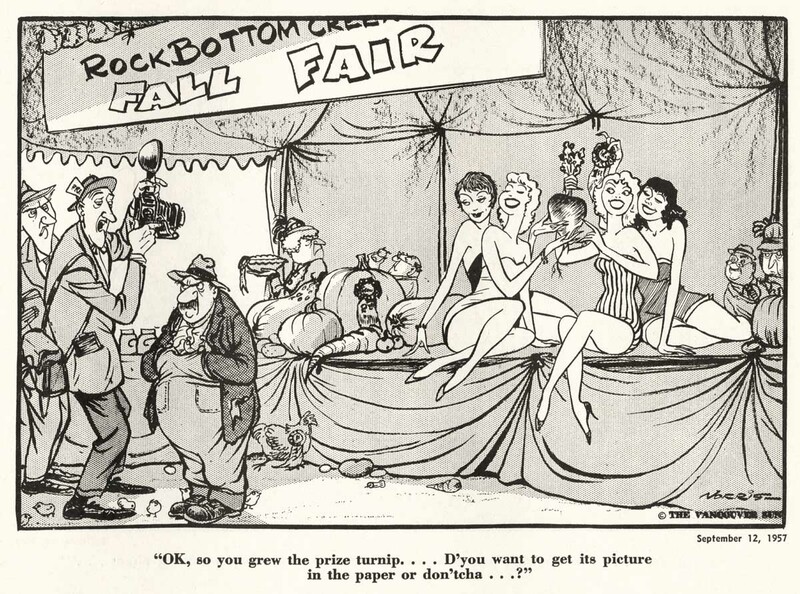 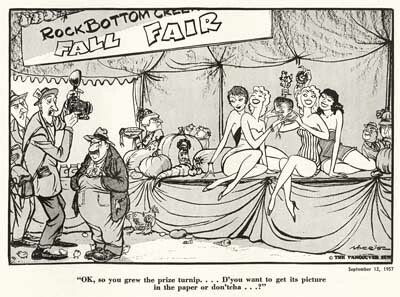 Just about every college newspaper and humor magazine had cartoons that looked very similar. 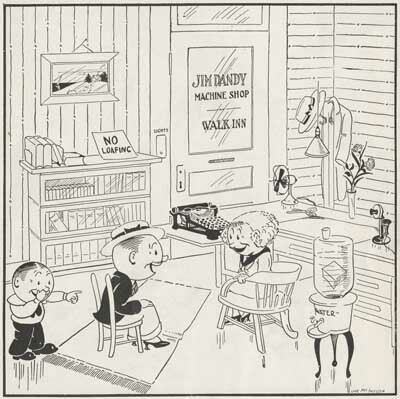 The leading proponent of the simplified round head style was John Held Jr. 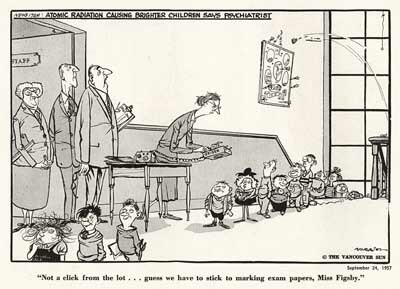 Early Puppetoons by George Pal also had a similar feel. 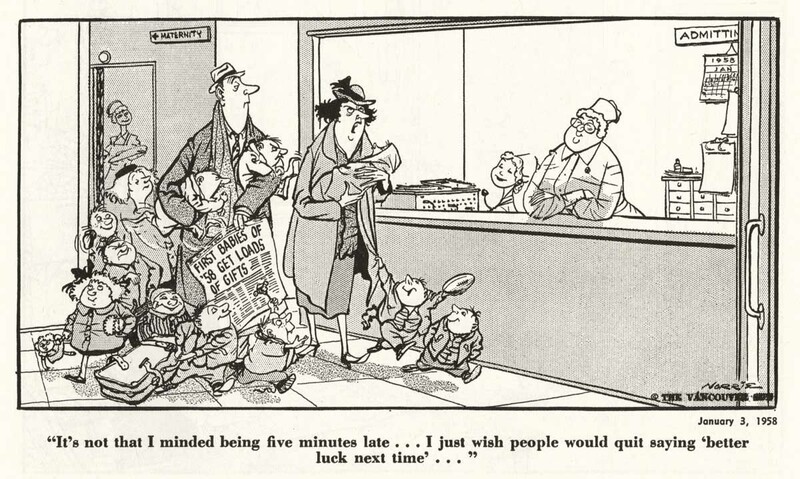 Although Joe McIntosh’s cartoons aren’t nearly as sophisticated as those of Held or Pal, they’re still very clever and fun. 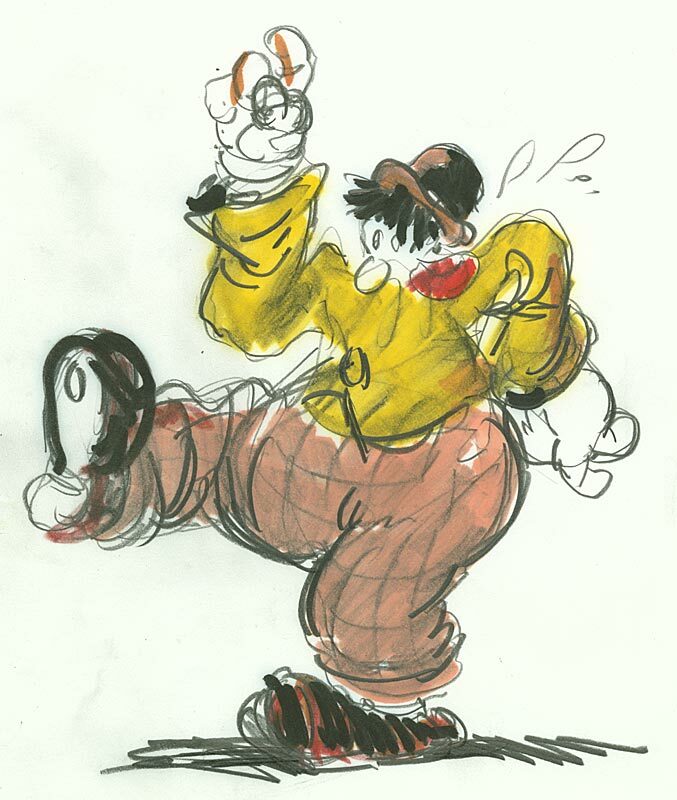 Whenever I see straightforward, appealing cartoons like this, I wonder… Why are modern animation designs are so needlessly complex and realistic? 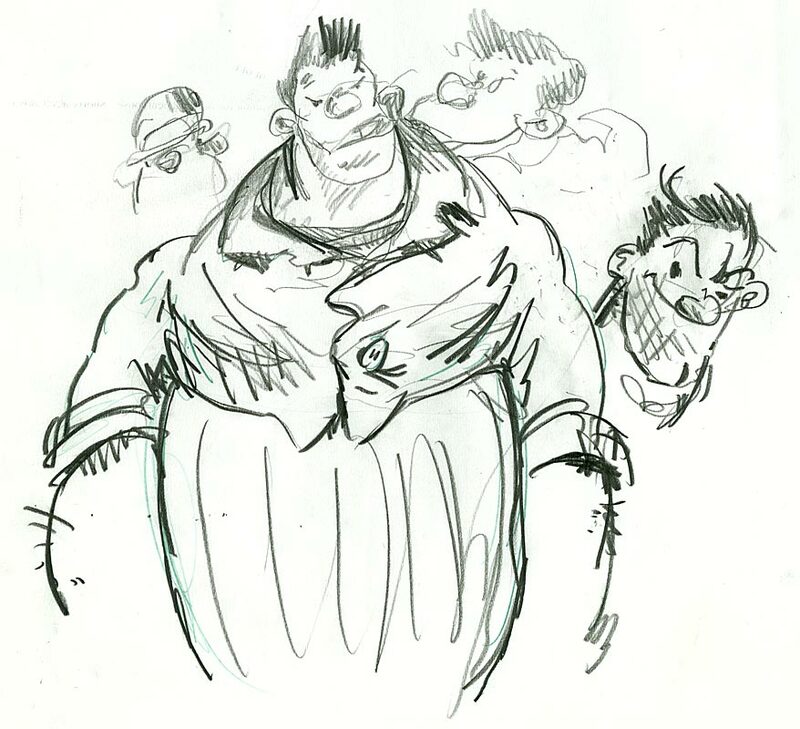 And why are Flash characters so flat that it limits their ability to be posed? 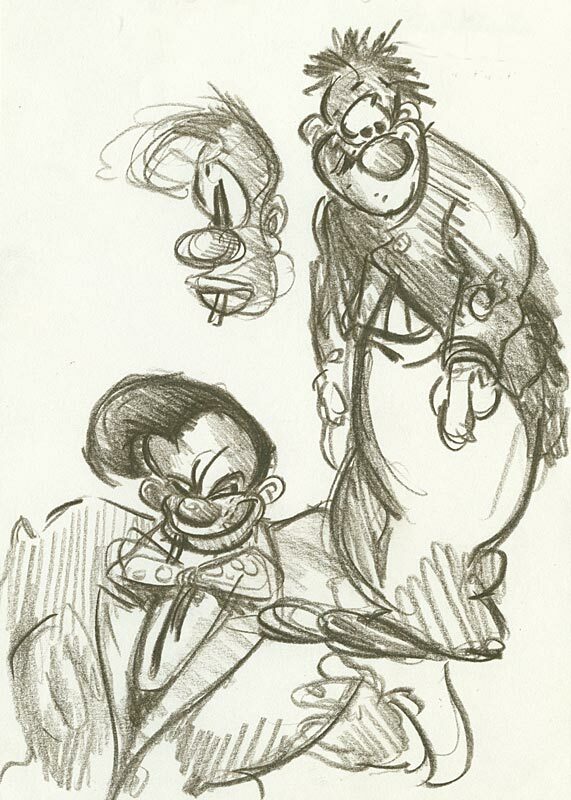 Here are cartoony, stylized designs that have volume and work well within the perspective of a three dimensional environment. 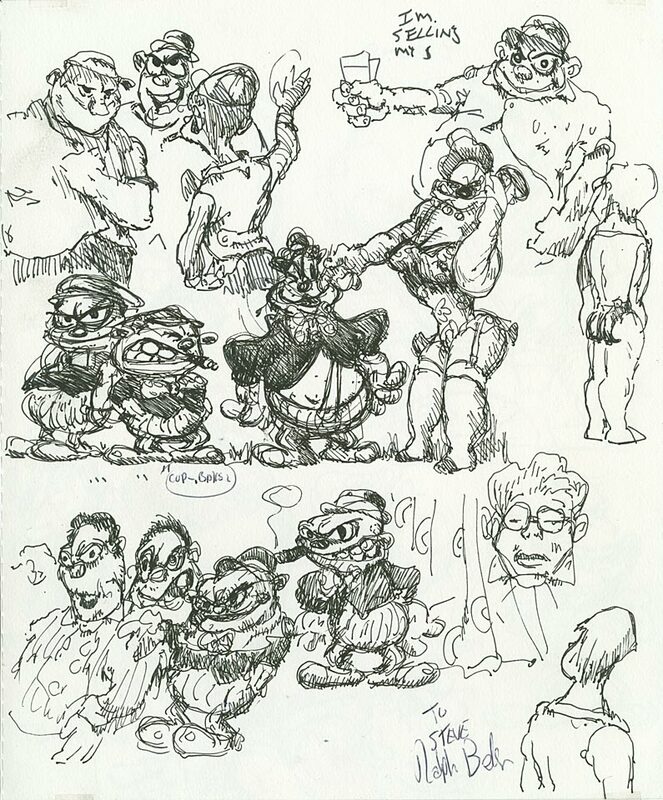 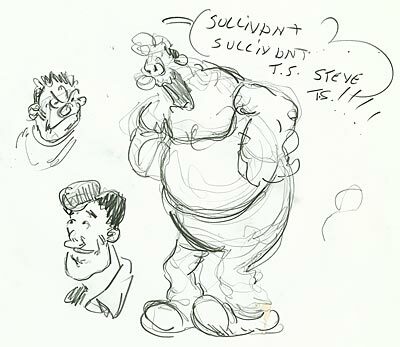 These sorts of characters would be easy to animate expressively using just about any technique- hand drawn, CGI, puppet, clay or Flash. 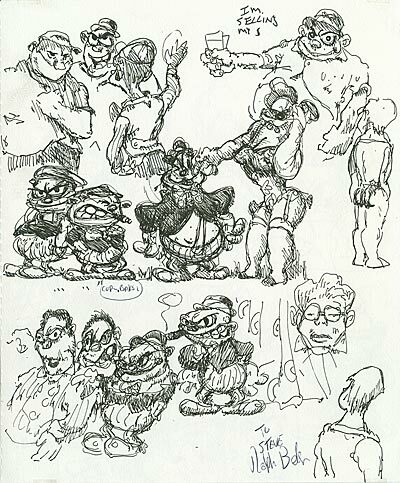 Naturally, the subject matter here is dated, but the basic proportions and shapes could easily be applied to a more modern context. 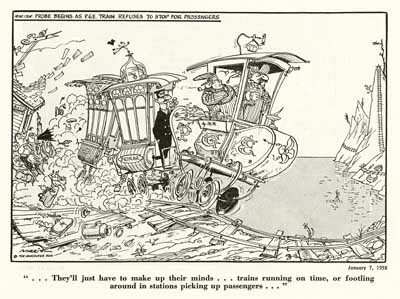 I’d love to see contemporary cartoons that are this simple and fun again. 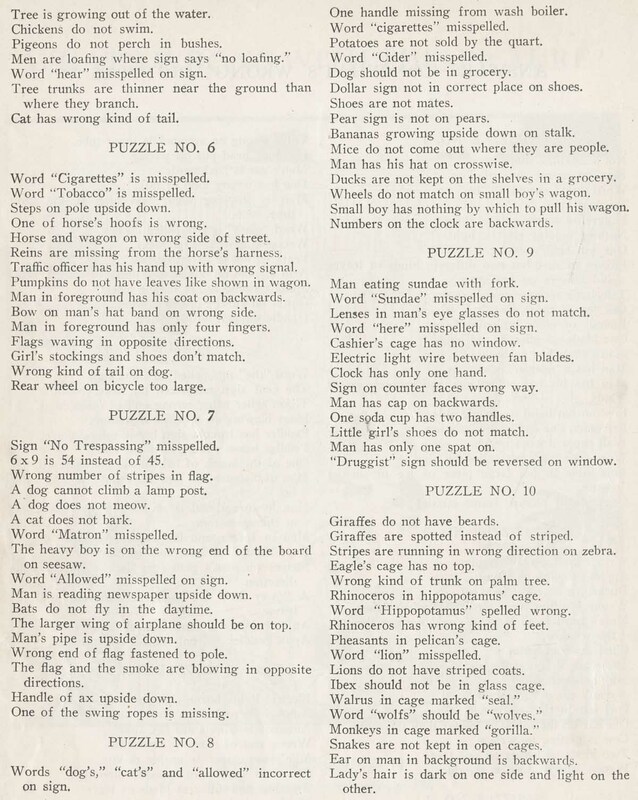 See how many mistakes you can spot! 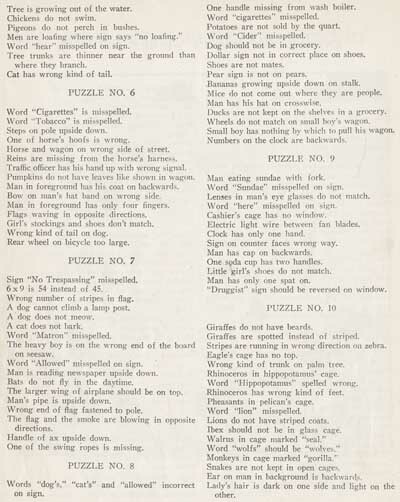 How many mistakes did you count? After the holidays, my pal Jo-Jo Baptista showed me a paperback book of political cartoons he picked up in a junk store when he was visiting his family. 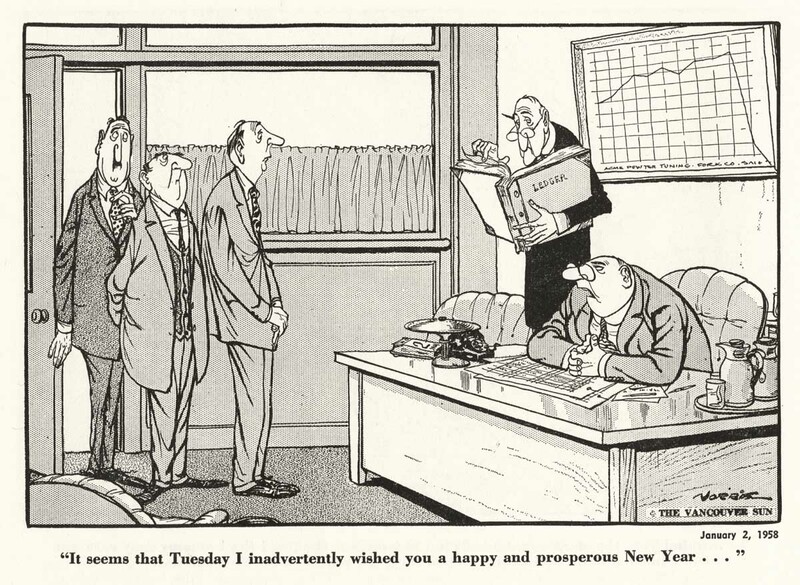 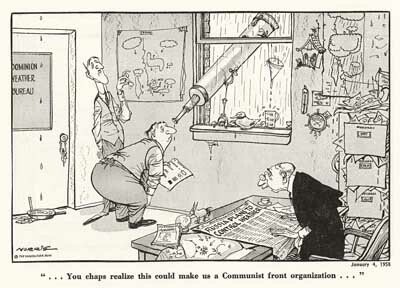 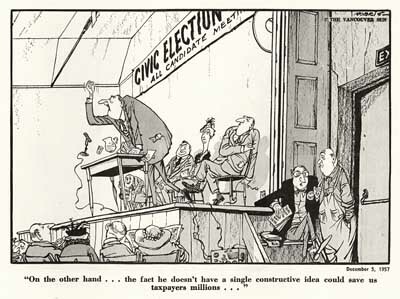 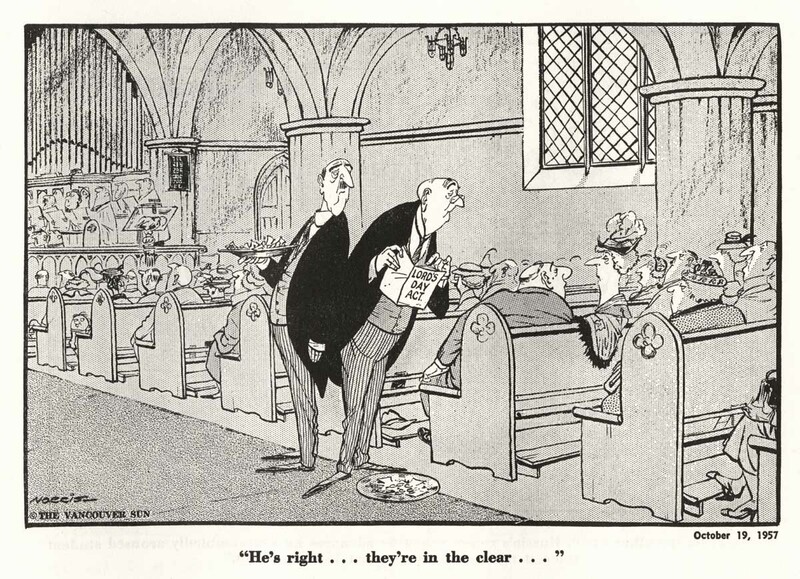 It was by a cartoonist I had never heard of before… Len Norris. The second I opened the book, I started to get excited. 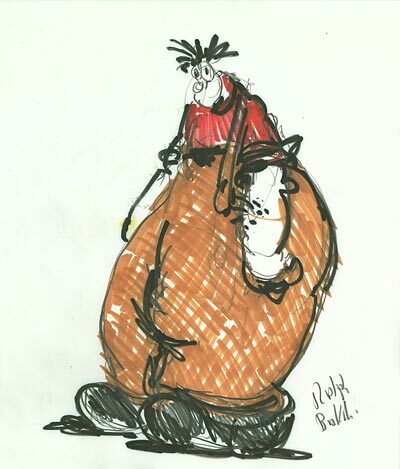 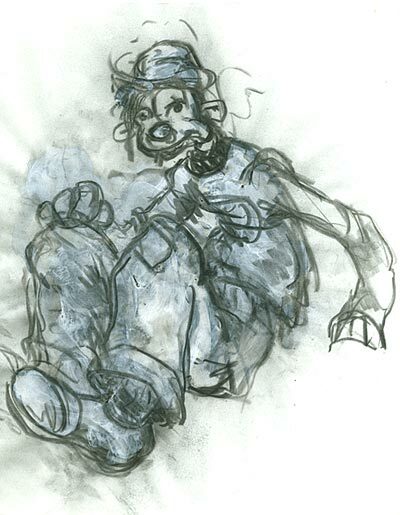 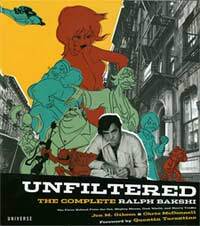 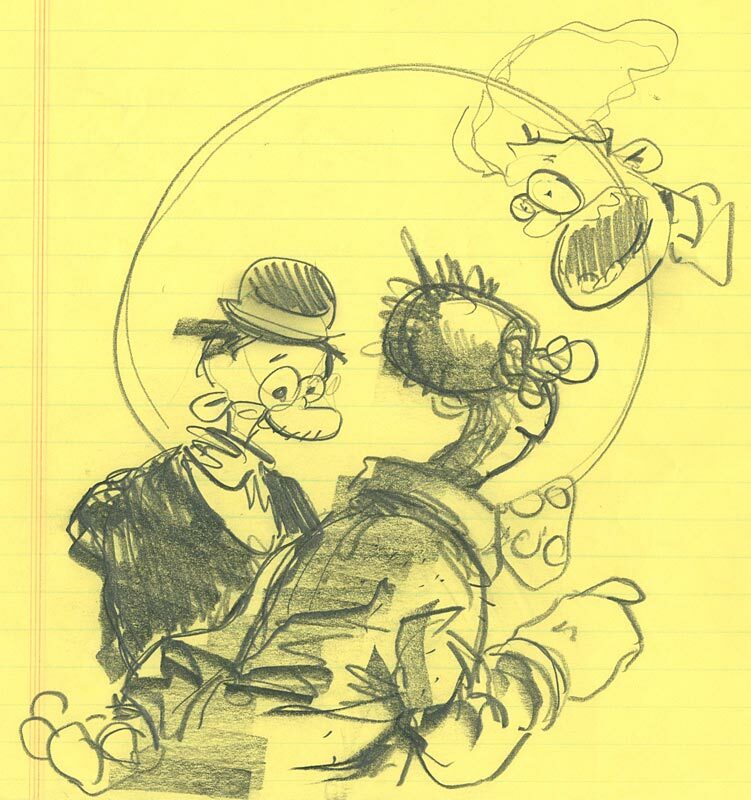 This guy had everything- great compositions, stylish design, solidly constructed characters, flawless perspective, funny drawings, great fabric folds, expressive hand poses, wild looking kids and animals- and he seemed to be able to draw anything from any angle. He caricatured automobiles and trains as well as the insides of gothic cathedrals and department stores, and depicted fabulous mansions as easily as he drew middle class living rooms. What a talent! 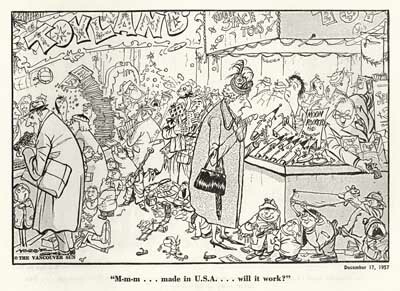 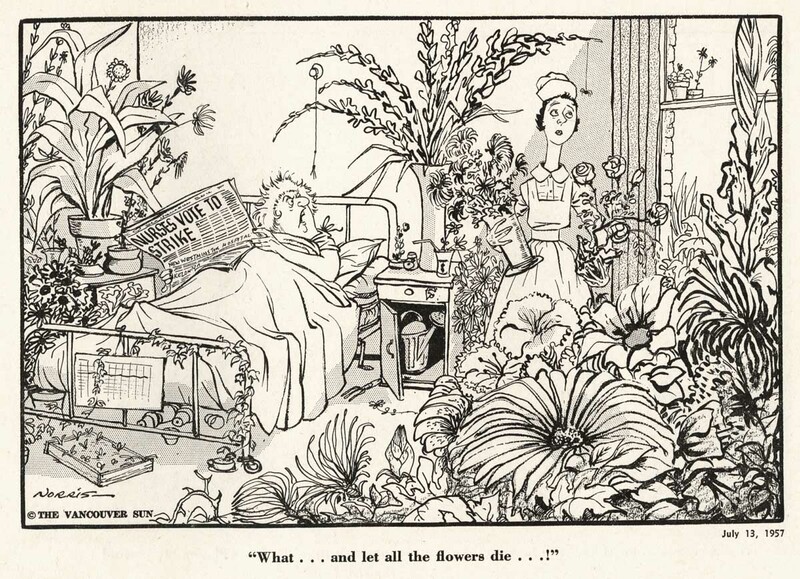 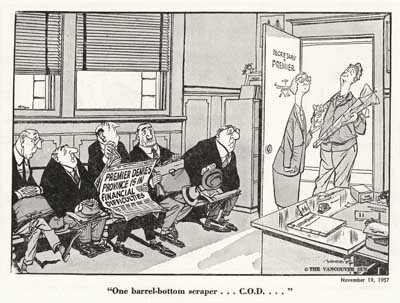 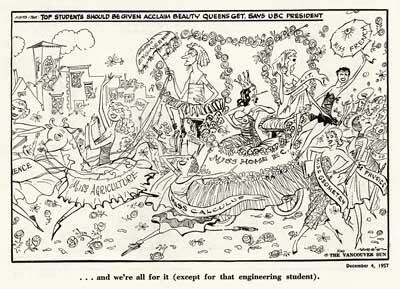 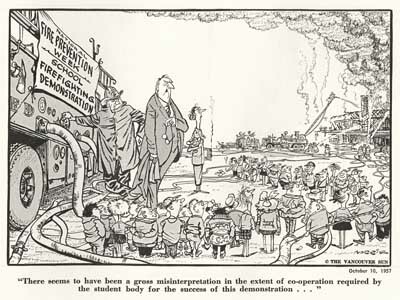 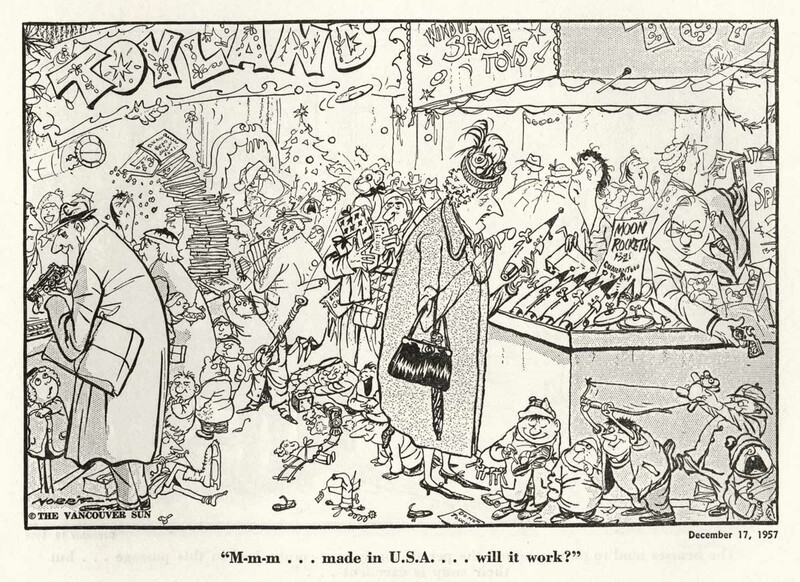 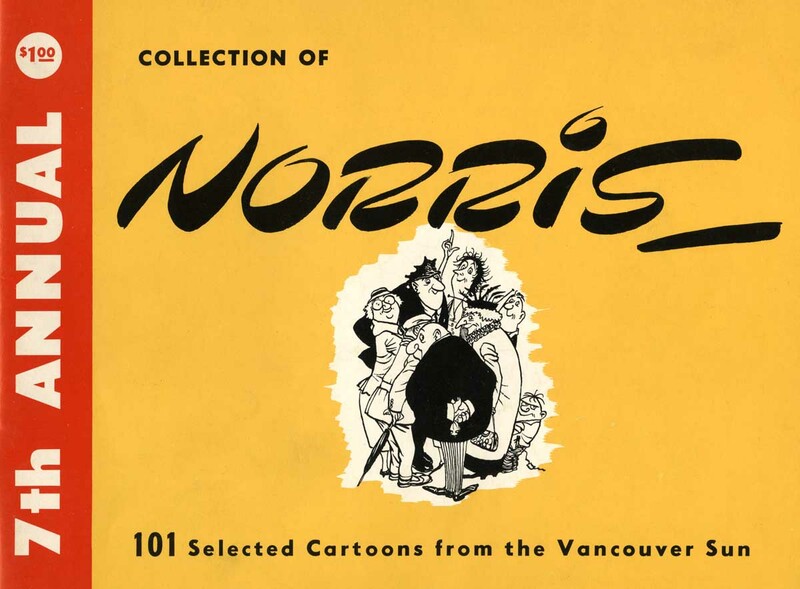 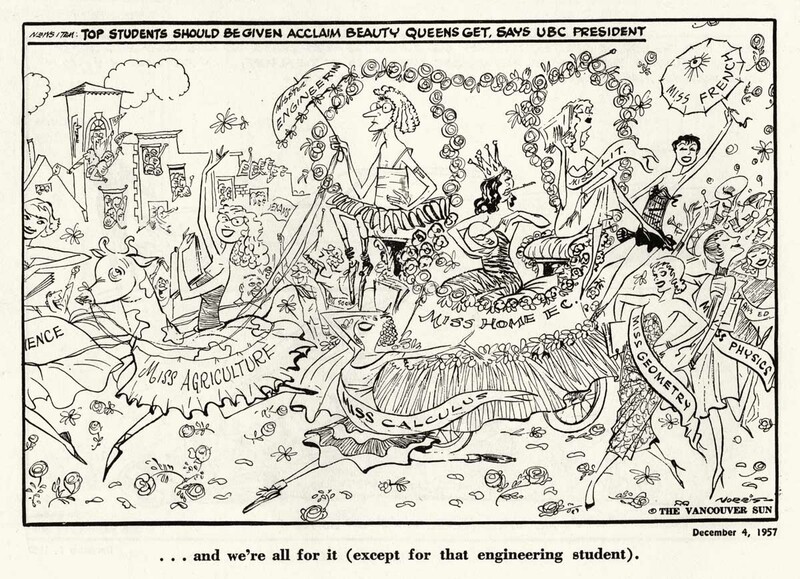 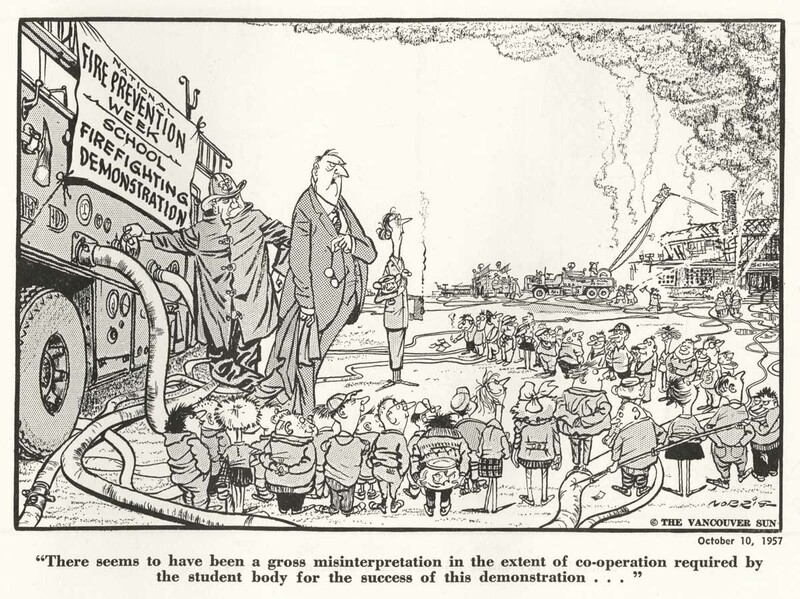 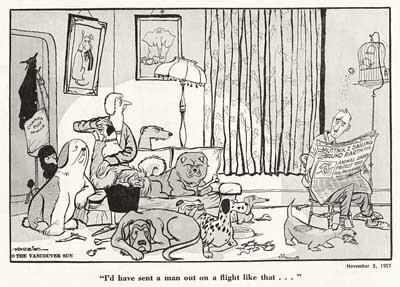 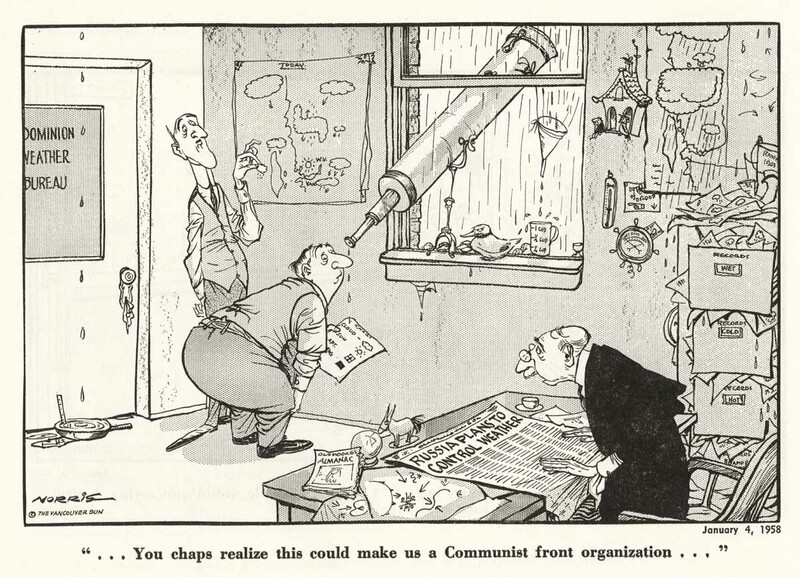 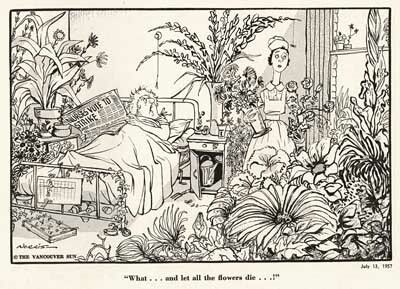 I did a little Googling and discovered that Norris worked as Art Director for Macleans magazines for a few years after WWII, then began a 27 year run as editorial cartoonist for the Vancouver Sun. 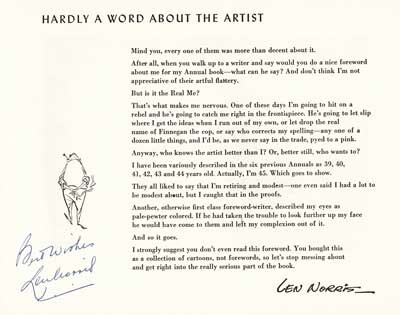 Norris would lampoon stories from the paper, which he would refer to in a tiny box at the top or on the headline of a paper in a character’s hand. Today, without an understanding of the topical context, some of the gags are pretty puzzling. 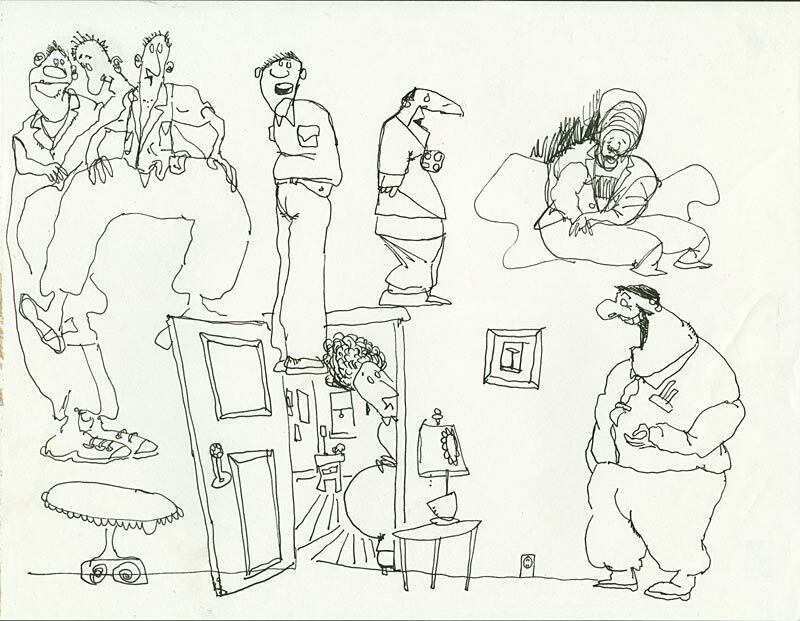 But it doesn’t matter- Norris’ drawings are spectacular. 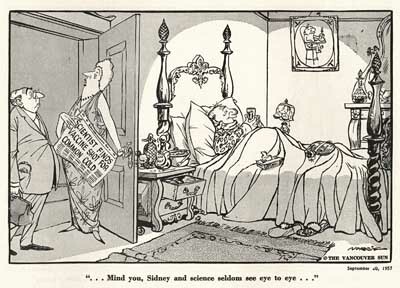 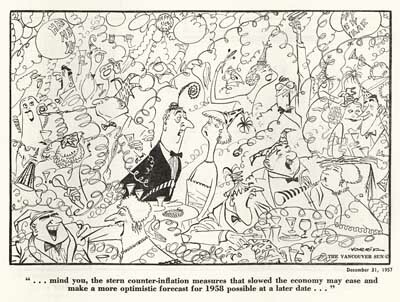 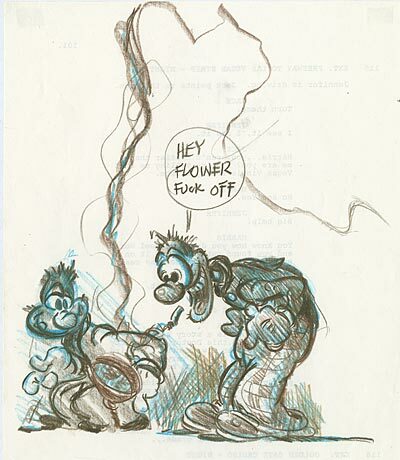 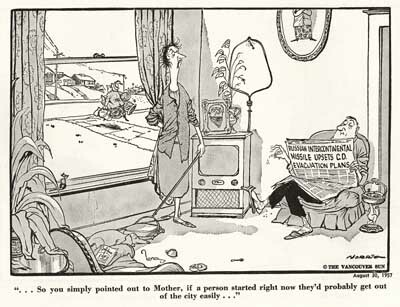 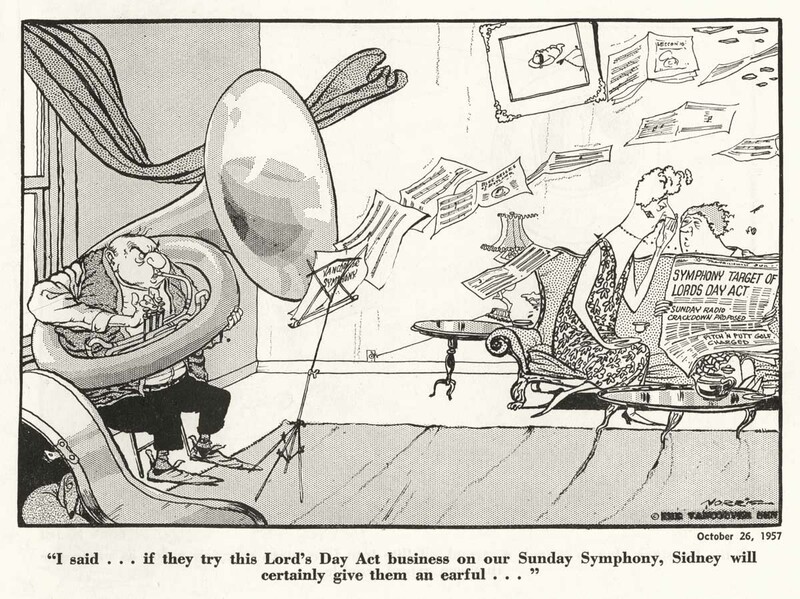 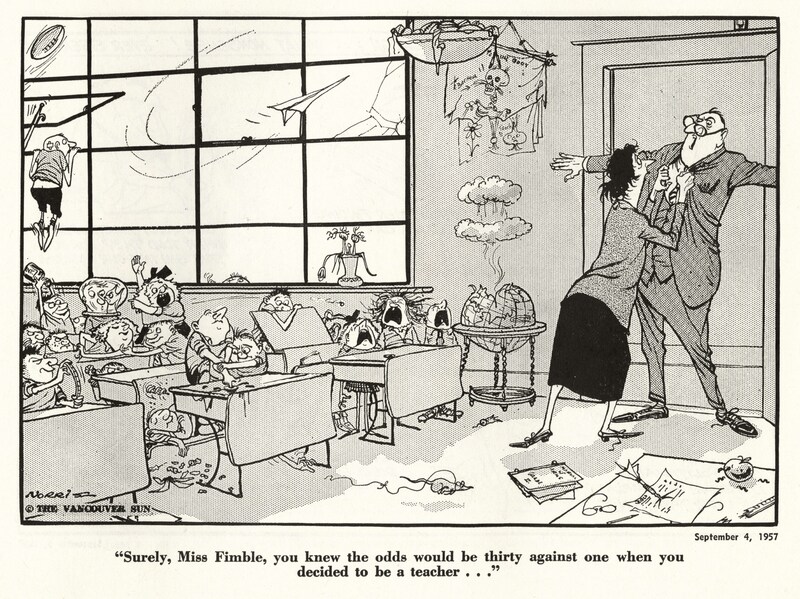 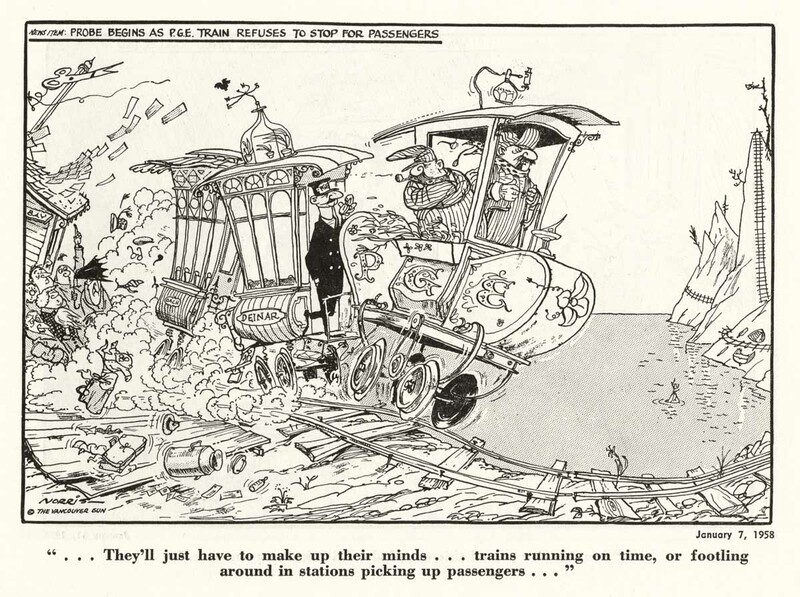 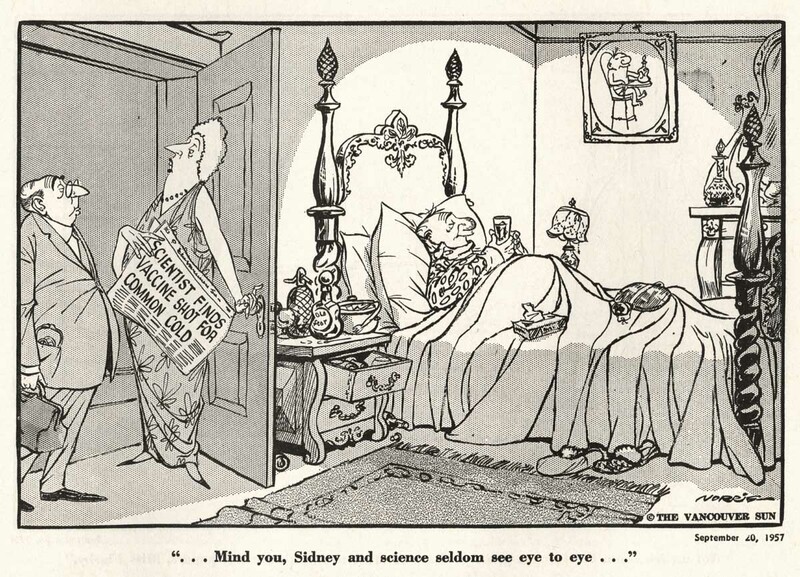 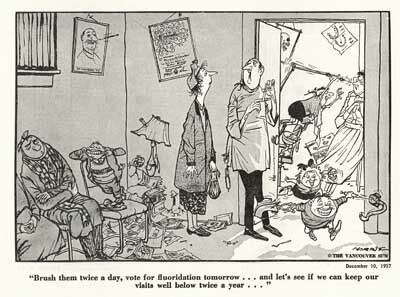 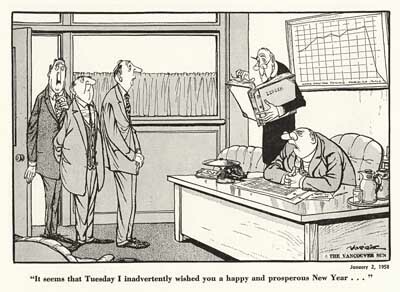 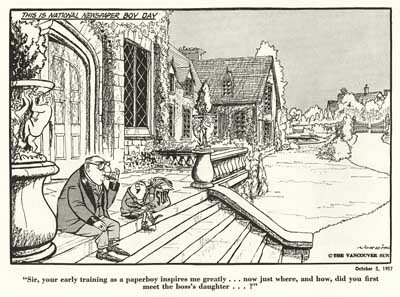 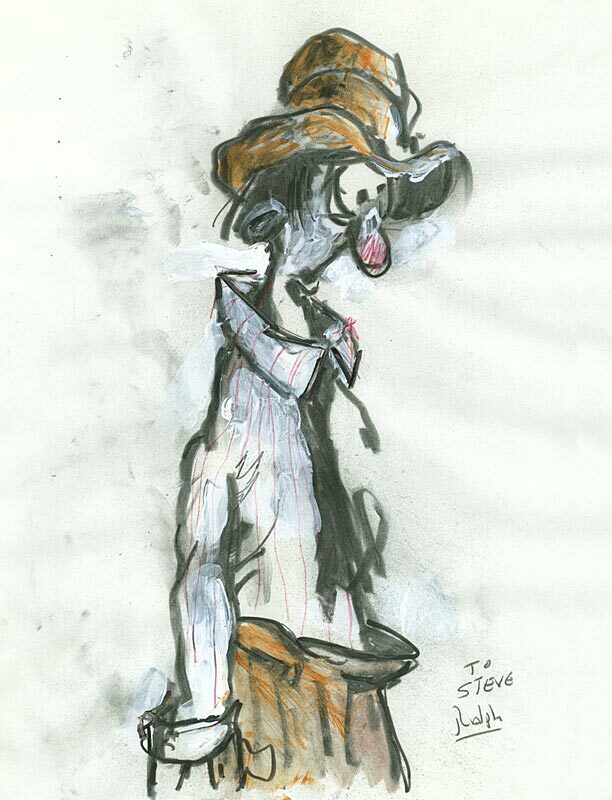 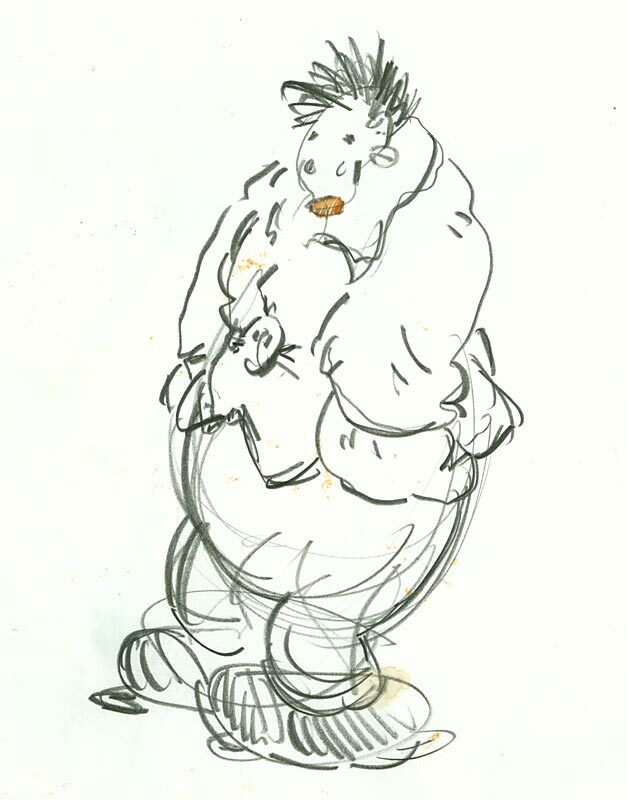 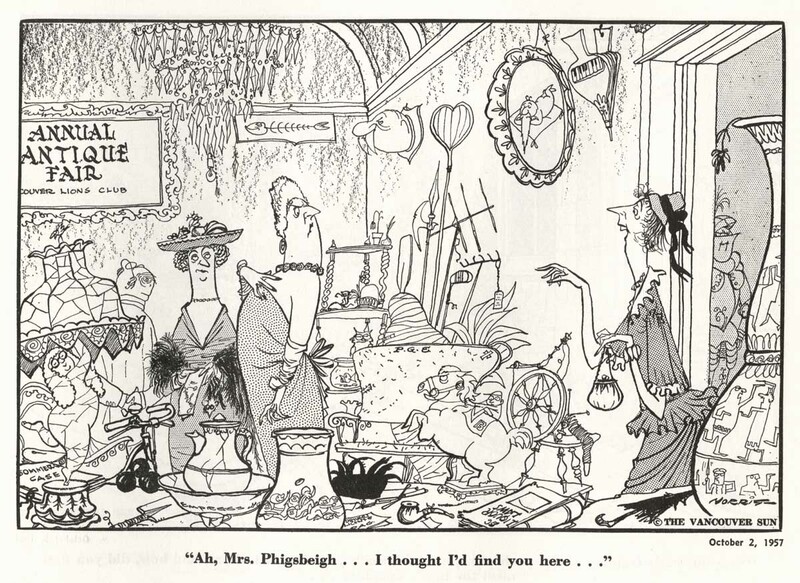 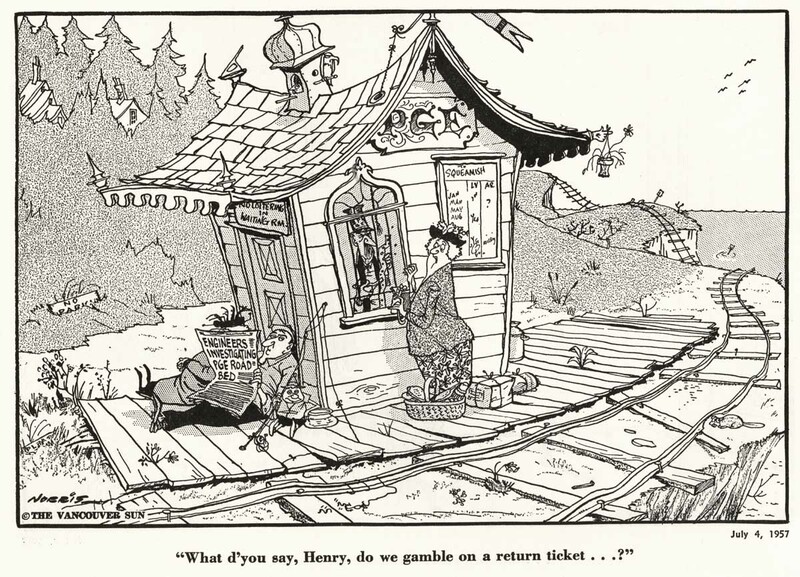 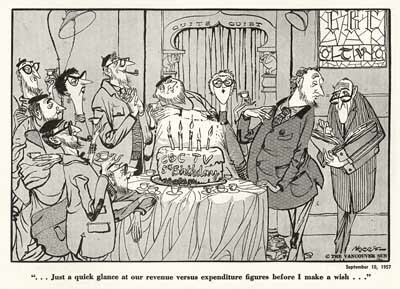 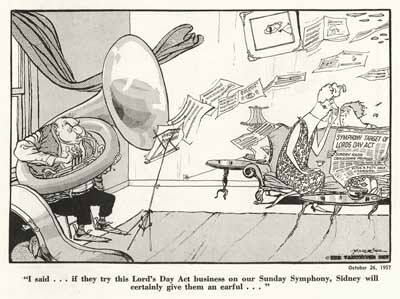 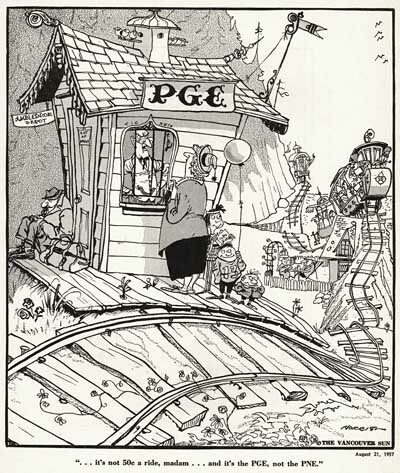 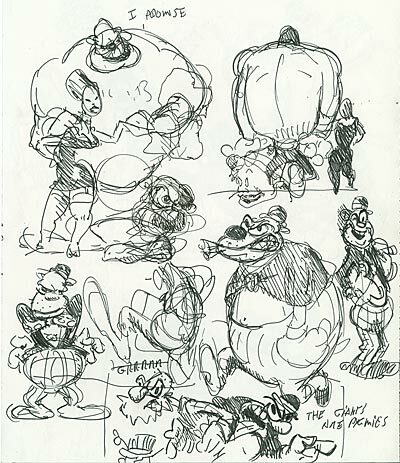 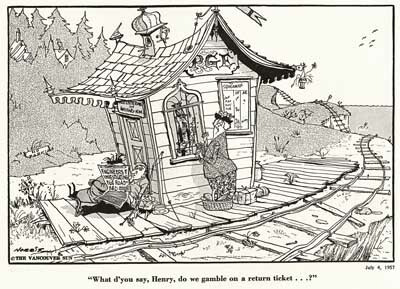 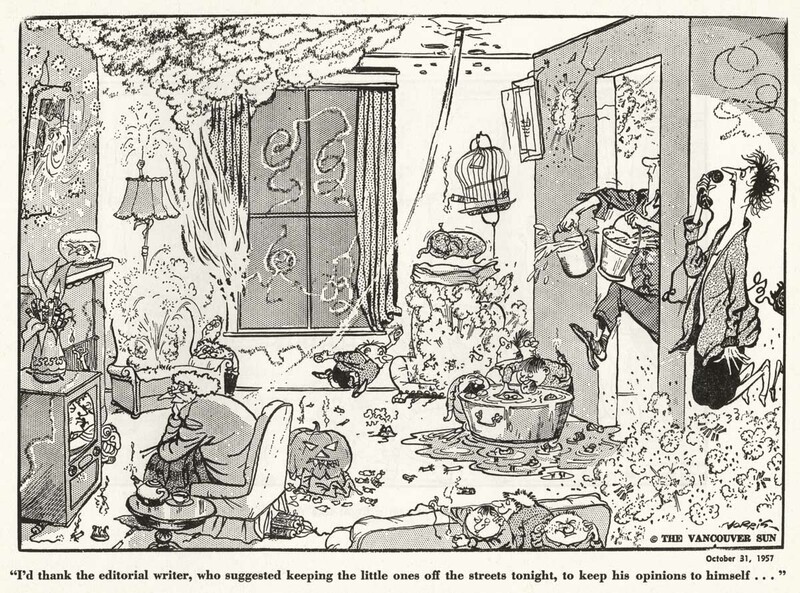 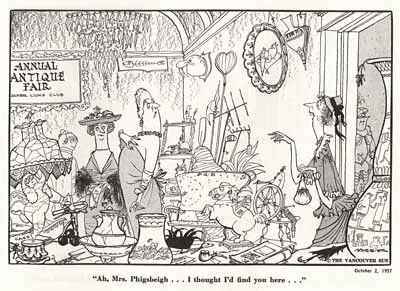 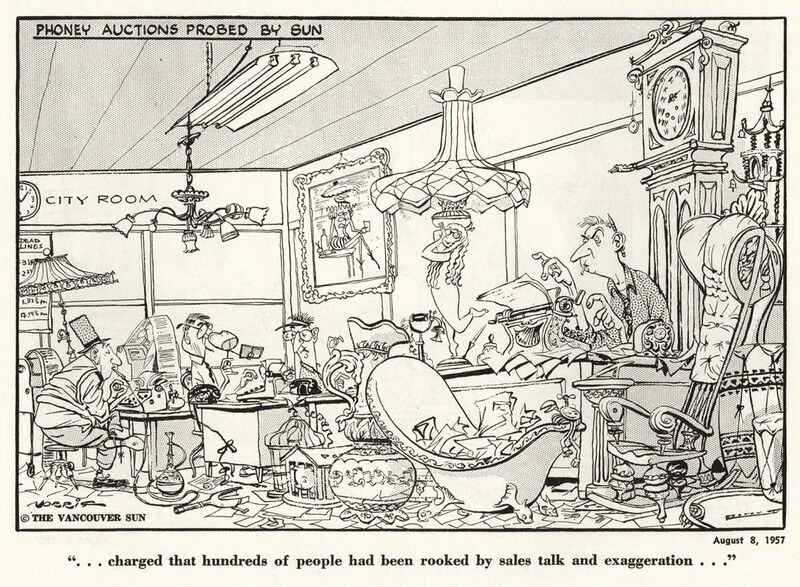 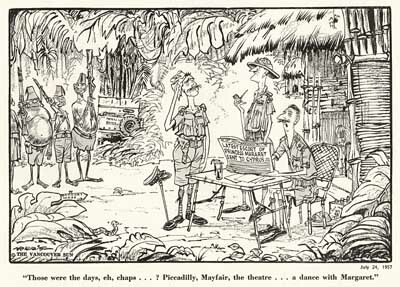 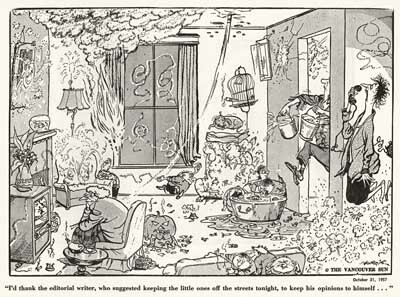 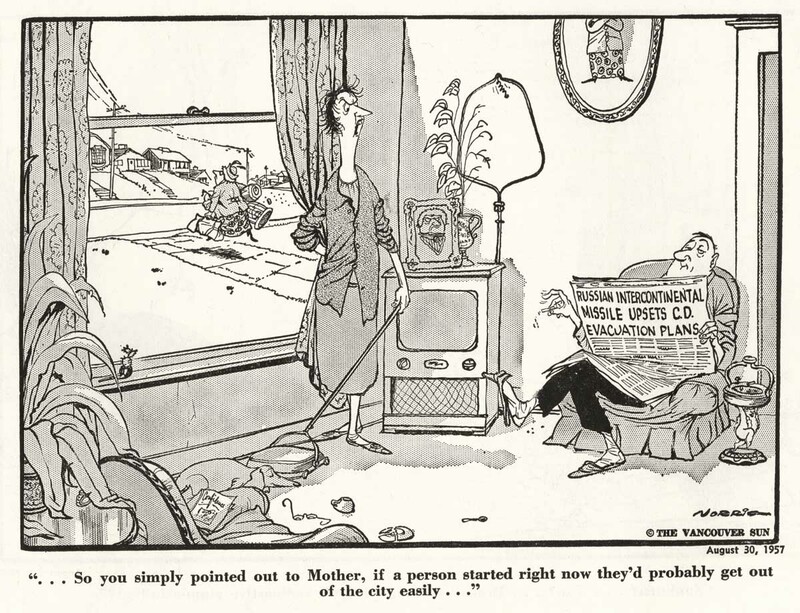 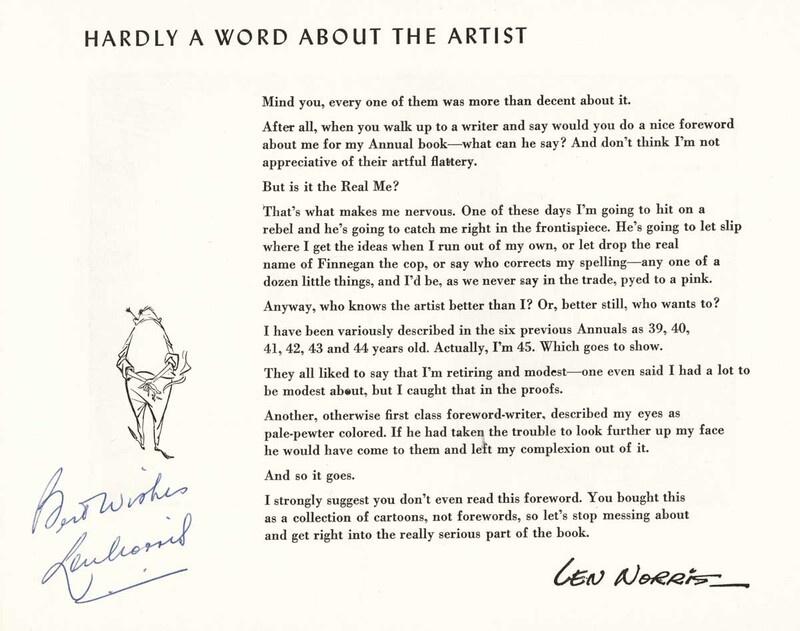 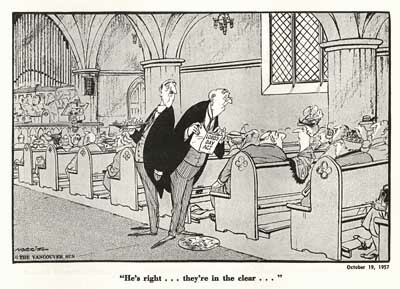 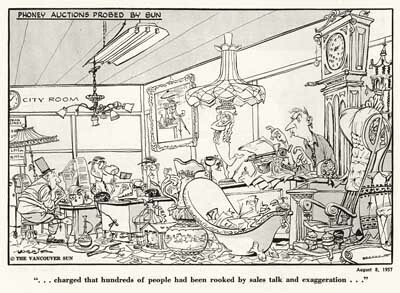 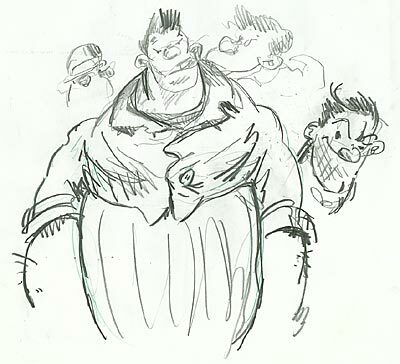 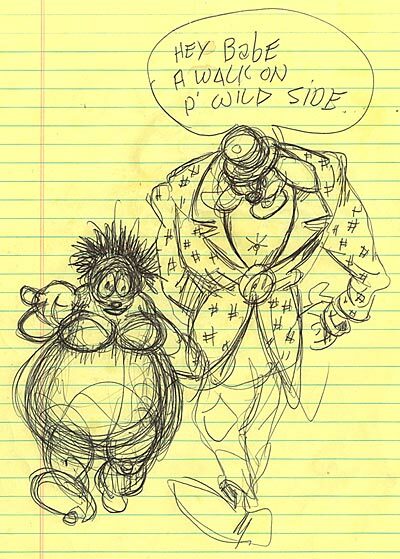 It’s clear that Norris was inspired by the work of Ronald Searle, as are many current day animators. 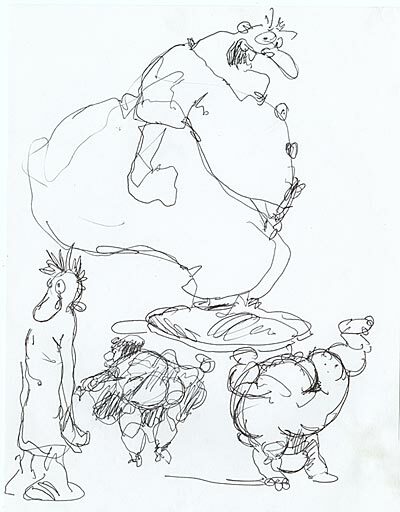 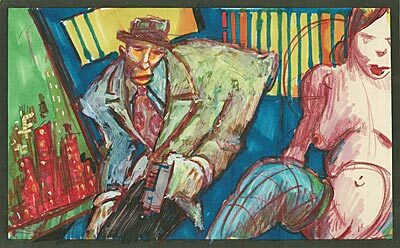 But Norris takes Searle’s ornamental line and wraps it around completely solid forms. This is exactly the sort of translation that a character designer would need to do if he wanted to adapt Searle’s style to an animatable model. But Norris isn’t just a Searle imitator. 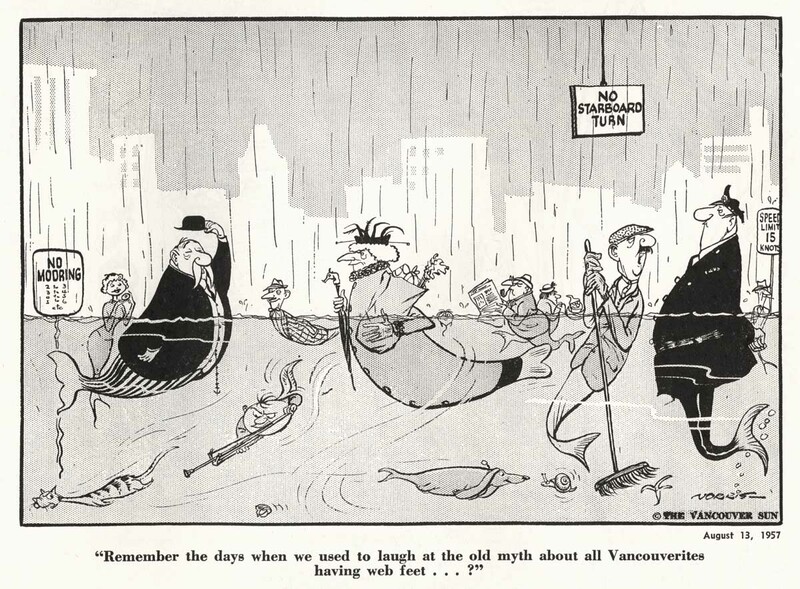 His characters are keenly observed and capture the spirit of Canadian culture in the 1950s. 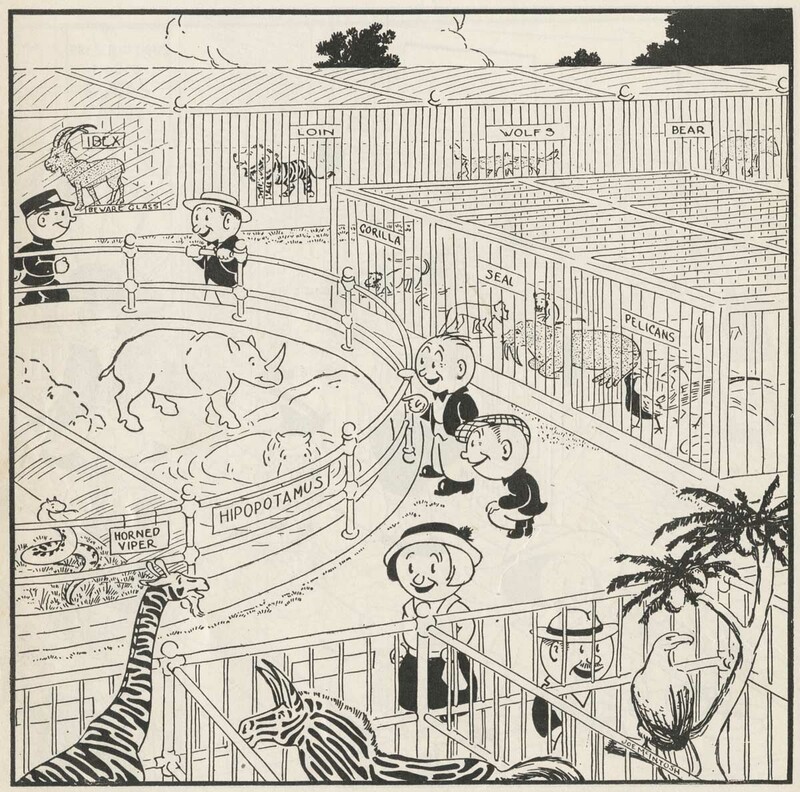 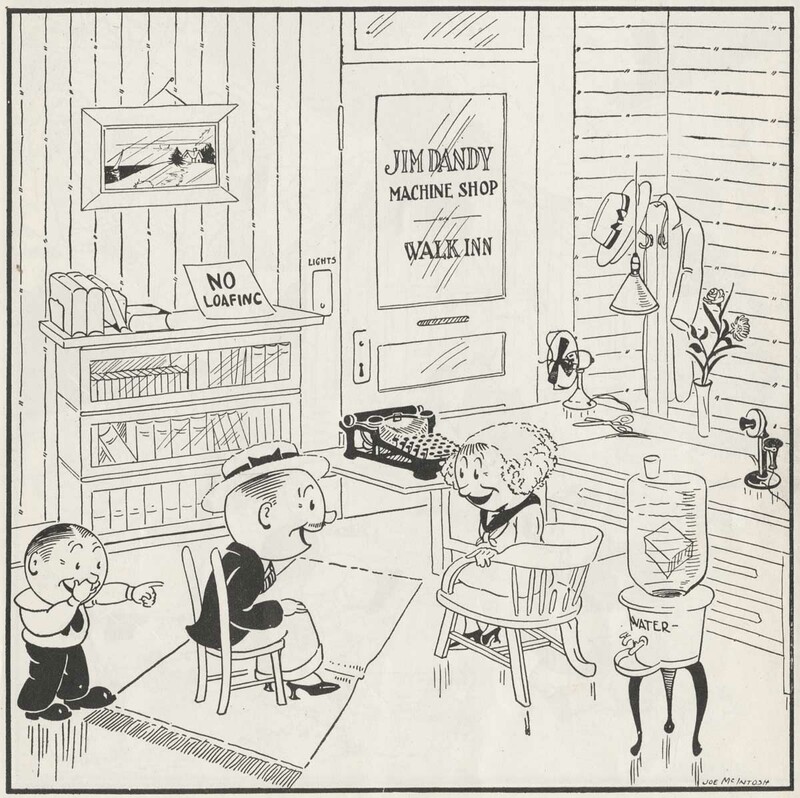 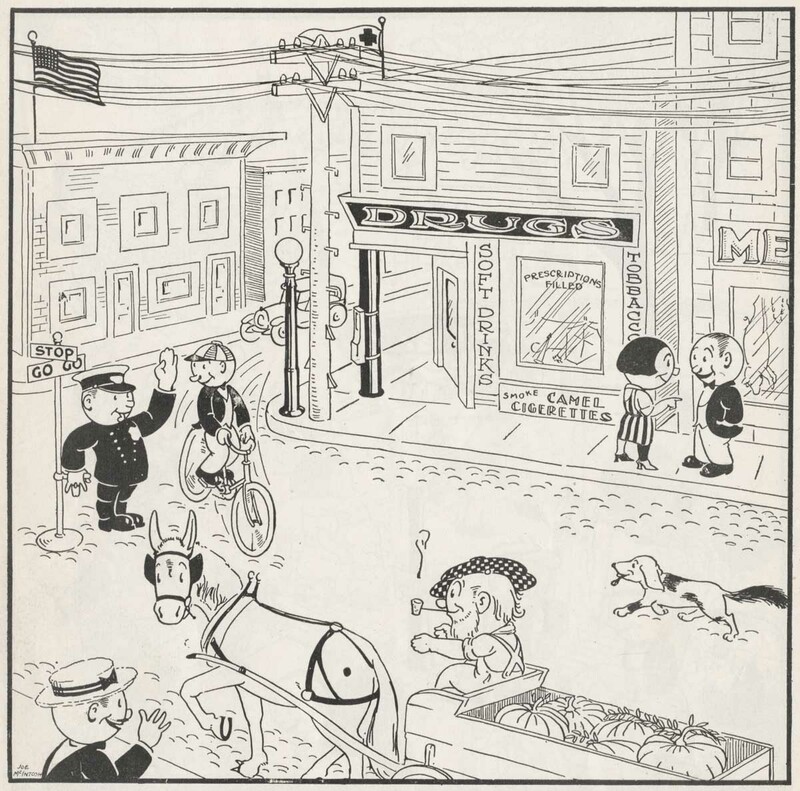 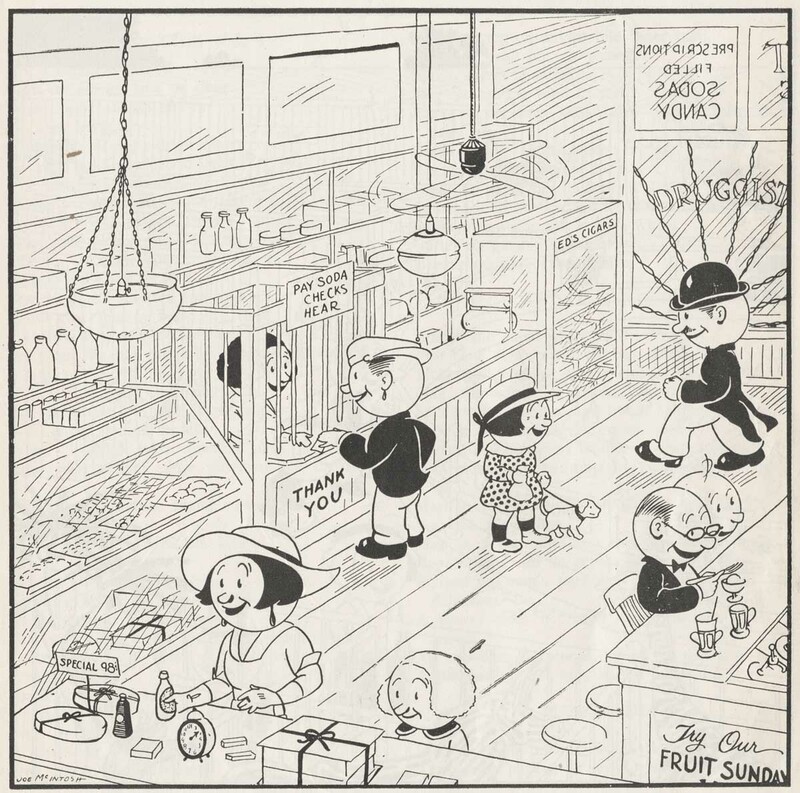 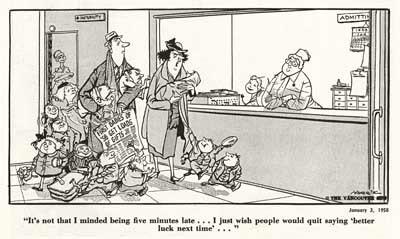 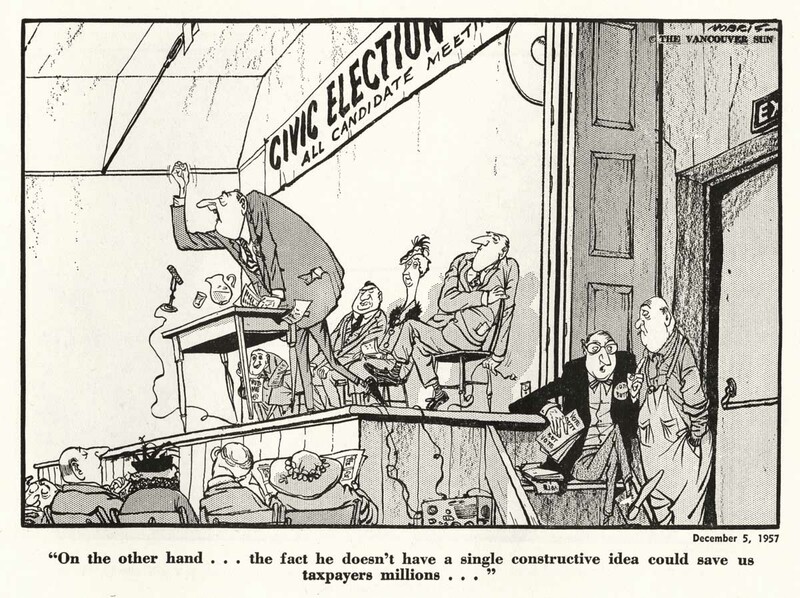 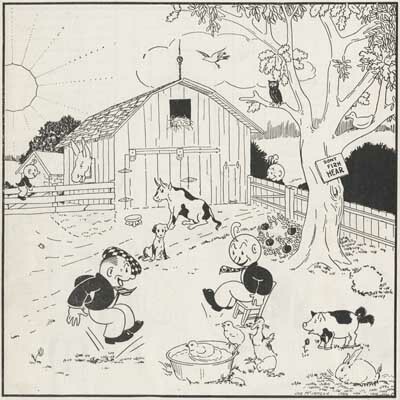 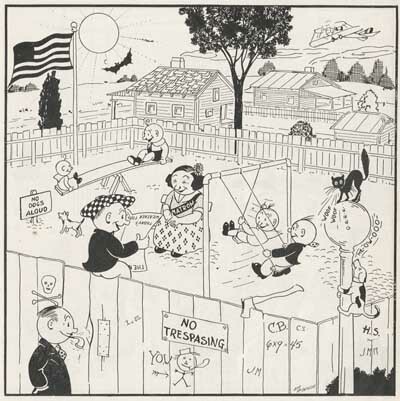 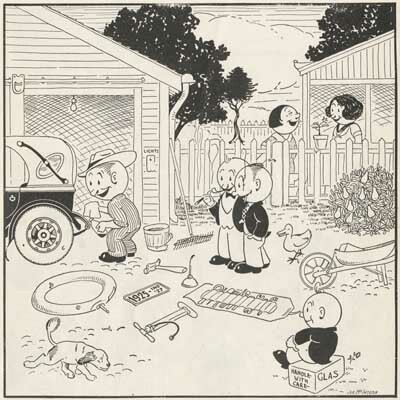 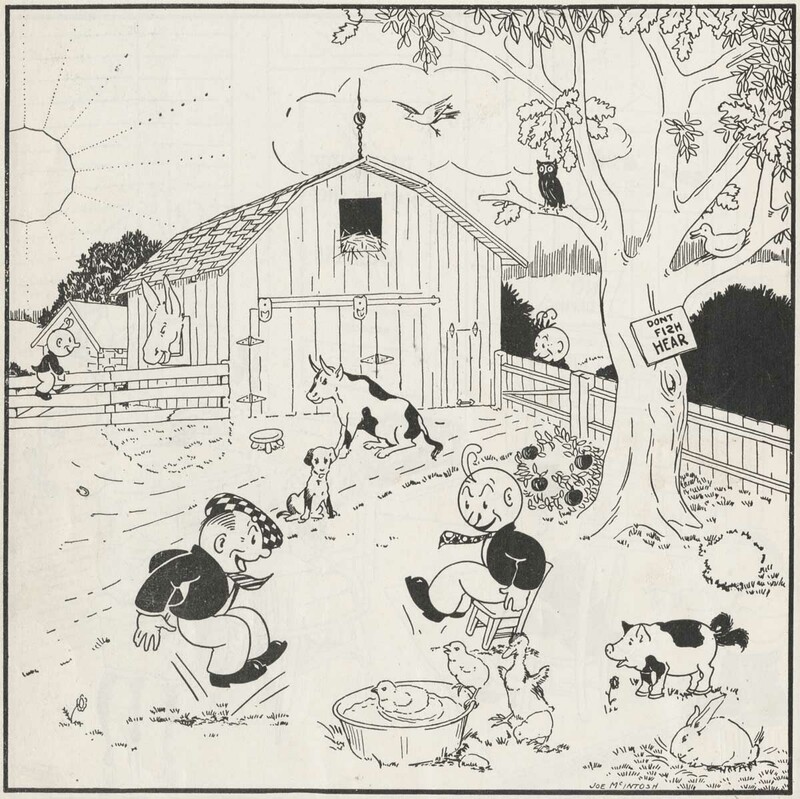 Look at these fantastic editorial cartoons and see if you don’t agree with Walt Kelly who was quoted as saying that Len Norris was “the best in the business”.